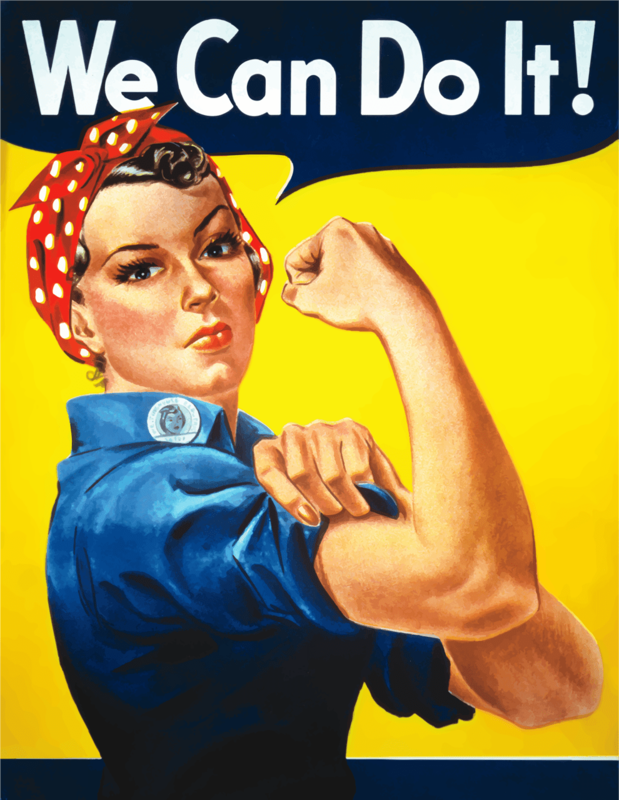 In Support of Women in Medicine, this acrylic painting is based on the “We Can Do It!” (Rosie the Riveter) poster. After a long call shift, I picked up a paintbrush and started to paint. 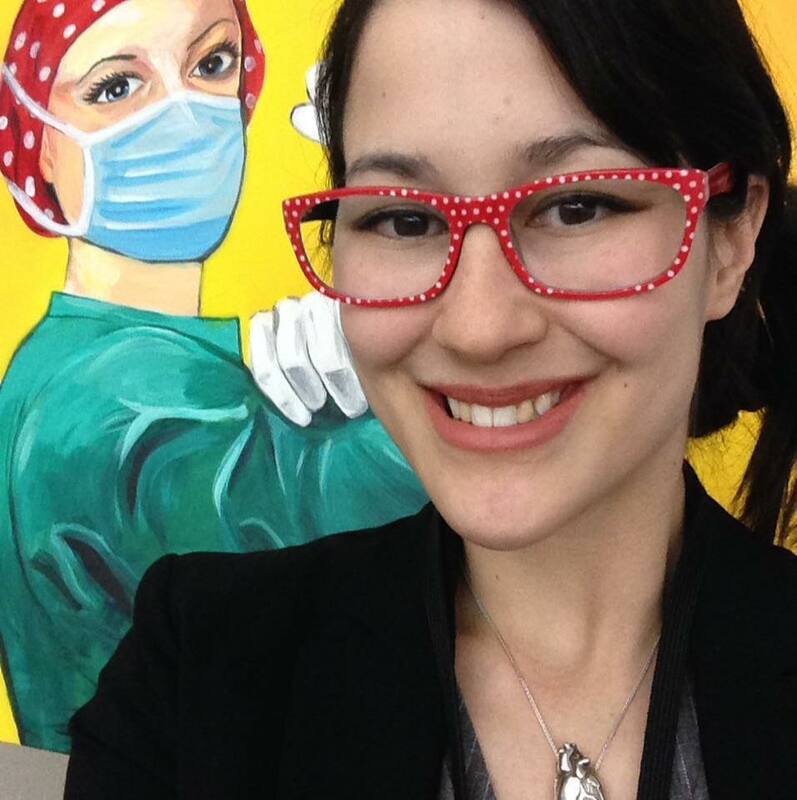 I was artistically and emotionally moved by a conversation I had with a medical student. 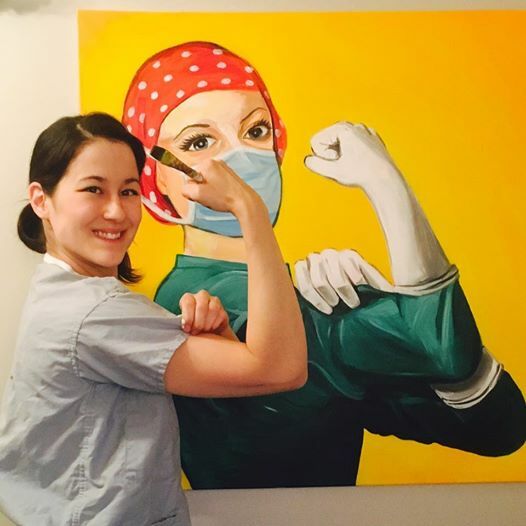 She was interested in surgery but along the way, she was told that she lacked the “surgeon’s personality,” she was “too nice” and simply “a woman.” Sadly, I have heard this before. 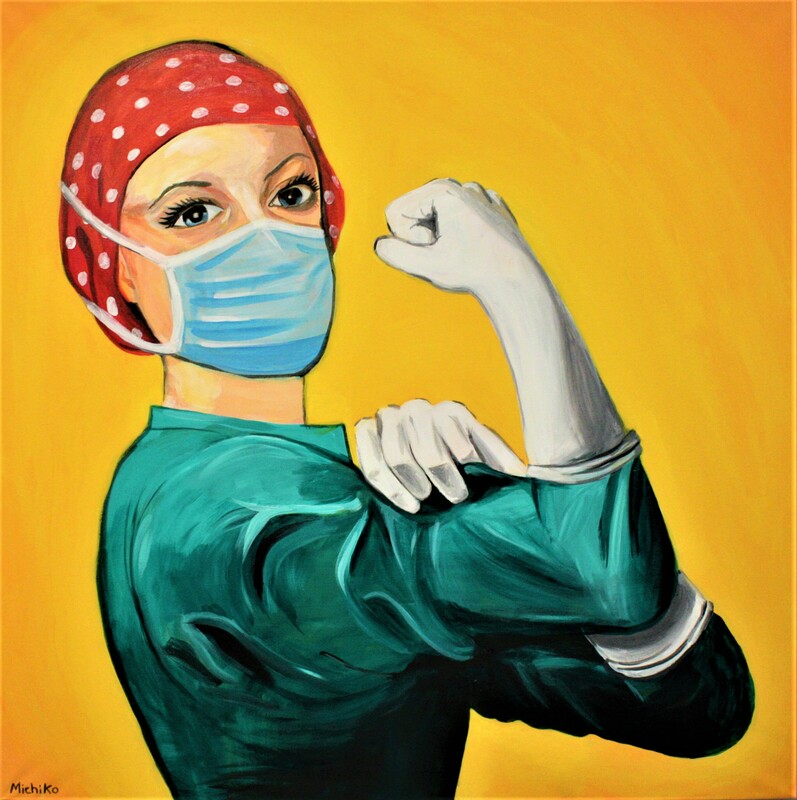 To all the young girls and women who dream of becoming the surgeon and to my fellow female surgical resident colleagues, “We Can Do It!” Thank you to all my mentors who have paved the path in fields less taken. * Art Prints available. Please send a message if interested. Artist’s statement: I was sitting on the grass under a giant tree, reading a book about anatomy. When I looked up, I found myself inside the right ventricle of the heart. Intrigued, I explored, taking notes and observing carefully. Suddenly, grass started to grow, mushrooms sprouted and the world transformed back to normal. 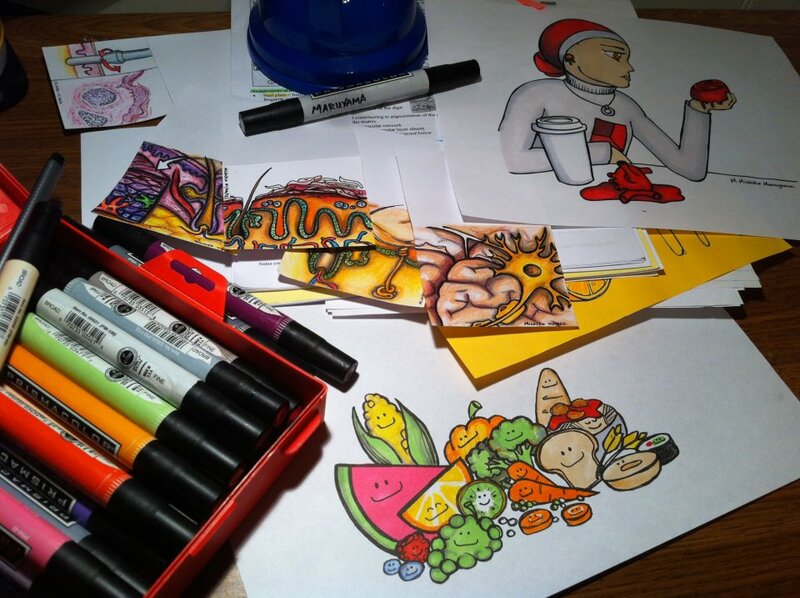 This is how I study, using imagination and creativity. * Signed Limited Edition Prints available. Please send a message if interested. 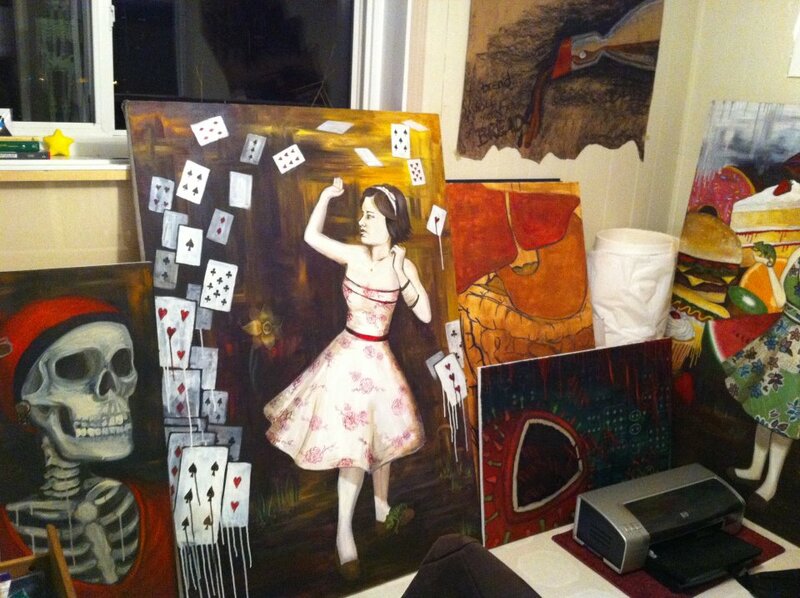 A short artist’s statement: My first encounter with death was the passing of my own grandfather. I sat by his bedside, holding his hand. Although unresponsive, I continued to talk. I asked for life advice and just then, he opened his eyes and whispered “Always ask questions”. As a medical student, this was the most valuable advice I could ever receive. Thank you, Grandpa. 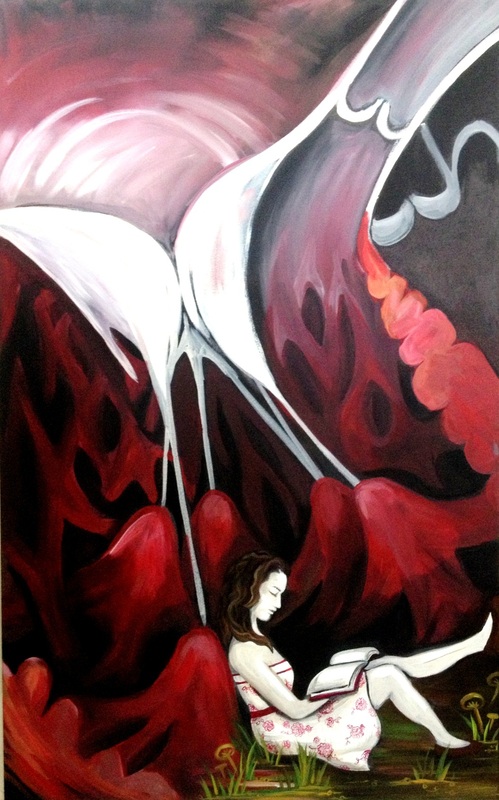 Artist Statement: “Pain, sorrow, loneliness, fear, and hope” – these are a few of the emotions that I, a patient and a future doctor, experienced during my treatment at the Cross Cancer Institute. I completed this painting after undergoing two wide resection surgeries and 27 rounds of radiation. 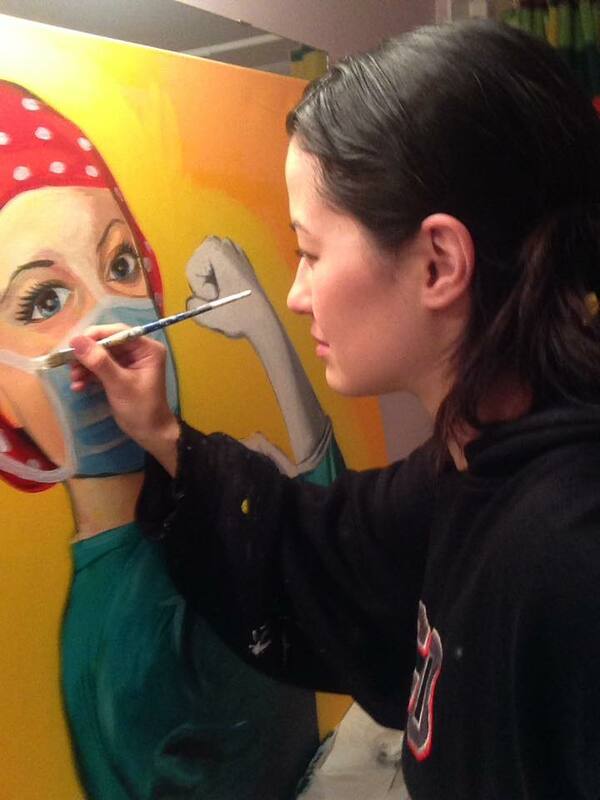 As a patient, painting allows me to express my true raw emotions and as a future doctor, my paintings will serve as reminders of what it was like to be a patient. 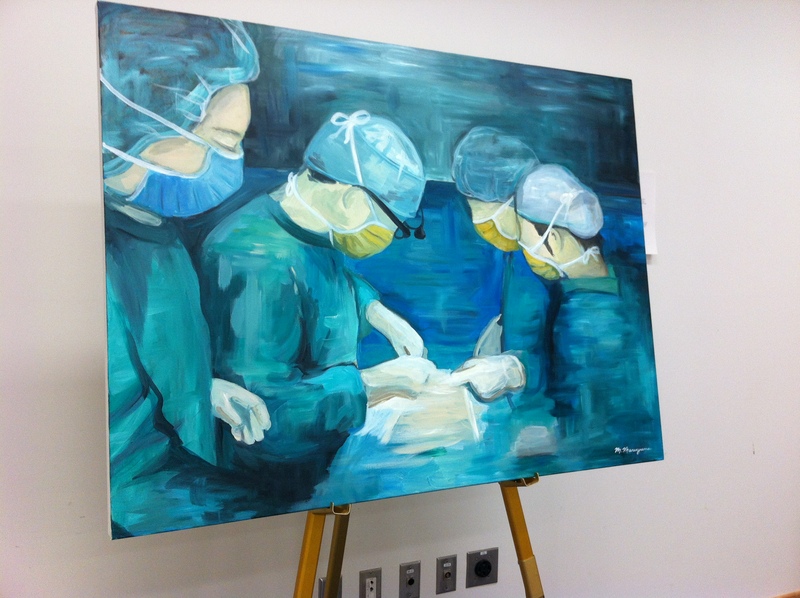 Artist Statement: As I watched the surgeon make the first cut, I whispered to myself… “Please don’t faint… Please don’t faint…” I was so nervous, my heart was pounding, but after the first cut, I took a step forward and I watched in amazement. This was the first surgery I had ever observed – a repair of a Tetralogy of Fallot. The experience was so moving. A moment I will never forget. Background: This painting started as a Daily Doodle, a quick sketch at the end of a day, but I wanted to create something more to emphasize the importance of this topic that often lies silent… The lecture on February 20, 2012 was very moving. We learned about physician burn-out and suicide. It is a topic that we don’t often discuss, but sadly, it happens all too much. Medical students and professionals who study and work to the point of exhaustion… learning how to take care of others, but not stopping to take care of themselves. The focus is on the patient, but often the physician’s own health and wellness goes unnoticed. The pressure can be so overwhelming… As I listened to the horrifying statistics of physician burn-out, I was left with the image of a medical student in the state of panic and fear, walking through the wards with their surroundings – the hospital walls, the beds, the curtains and the neon lights – melting from fatigue. The imagine that filled my mind reminded me of Edward Munch’s painting, “The Scream.” Sadly, these overwhelming feelings are often internalized and the silent scream of emotional exhaustion goes unheard because we hide it behind our smile. Artist Statement: Harsh paint strokes of red, yellow and orange represent the flickering fluorescent lights that stretch across the hospital ceiling. Blue curtains flow down, providing a perspective which creates the illusion of an endless hallway of hospital beds… The feet of patients lying in the distant beds are subtle, almost ghostly. In the center of the painting is a doctor wearing a white coat and stethoscope, screaming, with the body contorted, as if melting, and blending into the hospital floors. The hallway is otherwise empty and the physician’s scream goes unnoticed. 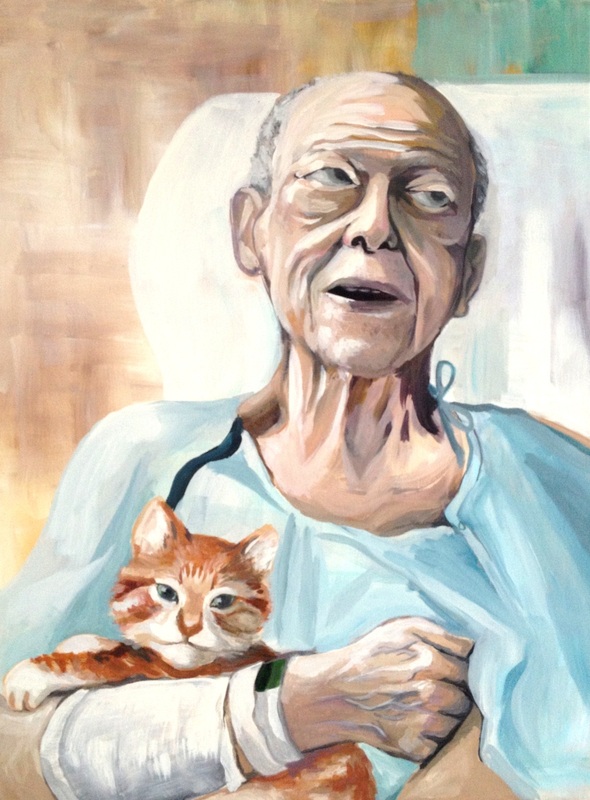 It is the integration of the physician and the surroundings, the contrast of colours and the harshness of the paint strokes that together, create the overwhelming feeling of physician Burn-Out. This painting serves as a reminder of the importance of mental health and wellness for everyone, including the physician. About the painting: In the summer right before clerkship, I had the wonderful pleasure of meeting Tracy O’Neil, the VP of Product Operational Solutions of lululemon athetica. After discovering that I had a background in industrial and visual design, Ms. O’Neil involved me in one of her projects. There I was, sitting at the table with the designers and VPs of lulu lemon. It’s amazing where art has taken me. Through my lululemon experience, I painted this picture. My room is filled with giant paintings and my desk is covered with Daily Doodles, sketches, lecture notes, pencil crayons, medical textbooks and highlighters. It’s an odd mix, but that’s me. Integrating art, design and medicine! A great thank you to the U of A Industrial Design Faculty and to the UBC Faculty of Medicine who support and encourage Arts and Humanities in Medicine. Thank you to all my mentors who are my source of inspiration and to my loving family who are always there for me – Thank you. I’m interested in the Tetralogy of Fallot. Can you tell me if you still have any available?